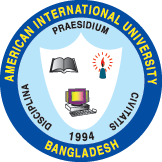 American International University-Bangladesh (AIUB) is participating in the US Trade Show 2008 at the Dhaka Sheraton Hotel from February 27 to February 29, 2008. Dr. Carmen Z Lamagna, Vice Chancellor of AIUB was present at the opening ceremony. The show was opened by Mr. Mahbub Jamil, Honorable Special Assistant to Honorable Chief Advisor, Ministry of Youth, Civil Aviation & Tourism and Youth & Sports, Govt. of the People’s Republic of Bangladesh. Ms. Geeta Pasi, Charges d’ Affairs, U.S. Embassy, Dhaka was also present in the opening ceremony. Details information about various academic degree programs and short courses offered by AIUB are available at the stall numbers 35-36, Winter Garden, Dhaka Sheraton Hotel.